She is as beautiful as her name sake. You may recall in one of our conversations that my wife passed away of cancer about mid completion. This wonderful craft has been my therapy. I launched her yesterday and she brought me happiness, which is a rarity these days. Thank you for the help along the way. Also, John Ivy gave me some finishing pointers. Now I will learn the fine points of sailing her and look forward to showing her off at Spreckles Lake in San Francisco. I would be honored if you put some pics on your web site. 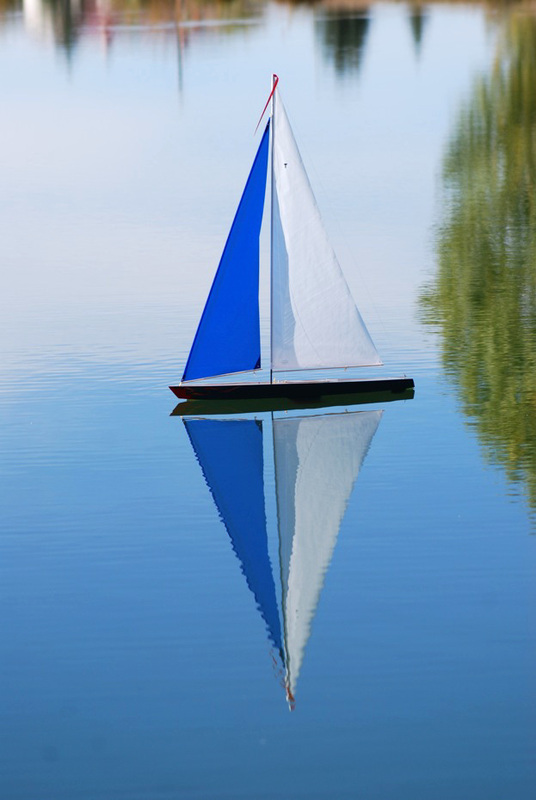 Before I came up with the model sailboat pastime, I was terribly depressed and rapidly turning into a grumpy old man. I read a lot and was drinking more than I should have. In short, spiraling down the drain spread eagled. On March 30th 2012 our family was uprooted from our home in Bozeman Montana as we found out that our 3 year old son Caden was fighting a rare cancer called neuroblastoma. As a result we got the opportunity to spend the next 15 months in Seattle to be close to treatment at Seattle Children's Hospital. Early on, during one of our weeks out of the hospital, I took my son to the Center for Wooden Boats to do a little exploring. 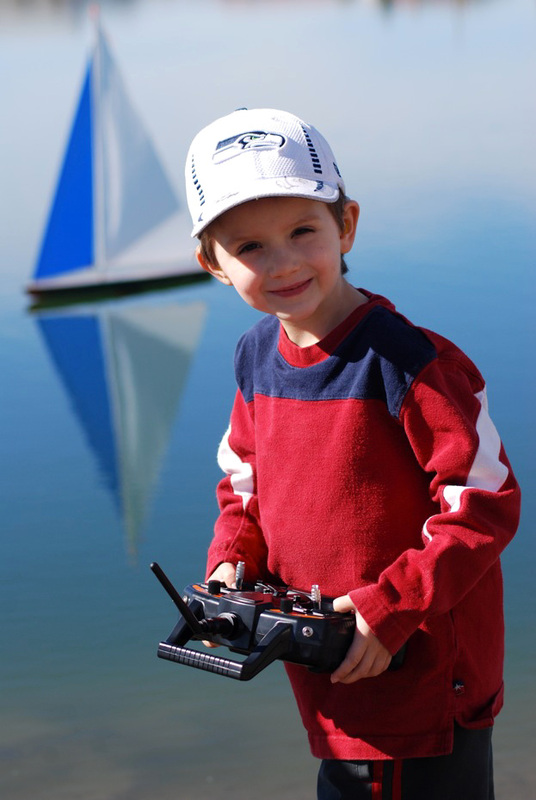 As part of our day out we also spent some time around the model boat pond… It was clear to me that Caden was very interested in the boats that were sailing and it was only a short time before we walked back to the center and picked up one of your T18 boats. This boat took us a week or so to get sanded and painted and eventually we made it back to the pond for its maiden voyage. Caden had a blast and over the remainder of our stay we went back to the pond many times. 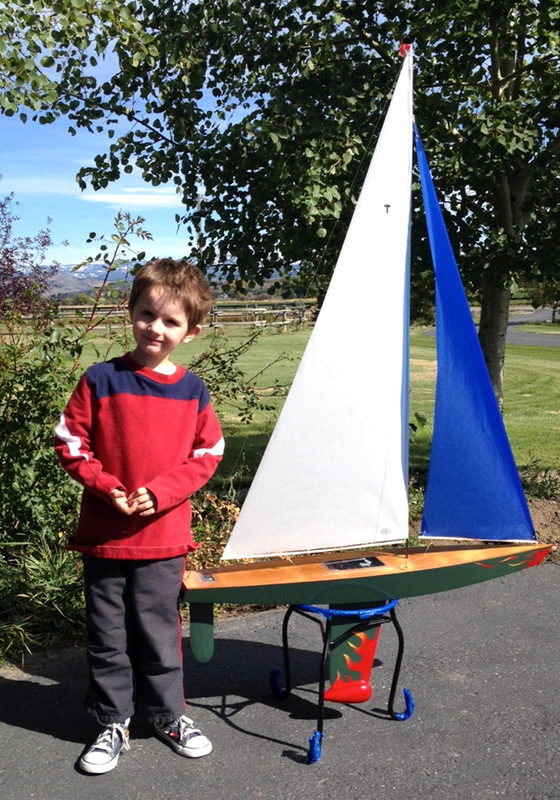 Caden had so much fun with the little T18 that we both agreed that we needed to build another boat. We finally decided on the T37 and have spent the past few months slowly getting the project completed. It has been a super great opportunity for Caden and I to spend some quality time working on something that we are both excited about. On September 11 of this year we were in Seattle and found out after several days of scans that Caden's cancer had finally gone away. Ironically we were walking by the Lake Union Sea Planes on our way to the pond with our T18 when we heard the good news. Over the next few weeks we focused on getting the T37 finished and am happy to say that this afternoon we took hull #1921 (we haven't named her yet) out to our local pond and gave her her maiden voyage! Anyway, I just wanted to send you a few pictures of the final ship and thank you for such an amazing product. It went together flawlessly and had everything we needed to get her done. More importantly, thank you for the incredible memories that Caden and I have been able to create together. We hope to see you at the pond someday. 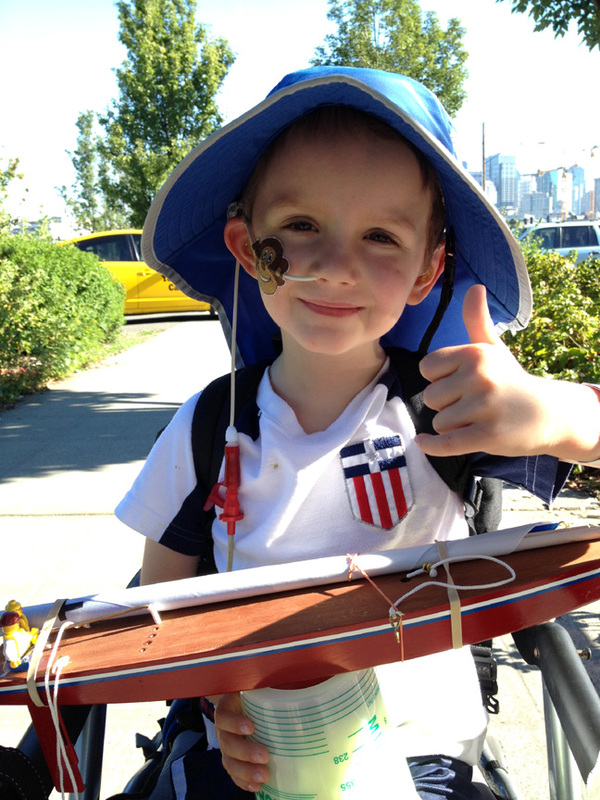 This picture above of Caden with his T18 was taken the day he found out he was cancer-free.